Two other ways to detect a fake pagerank? 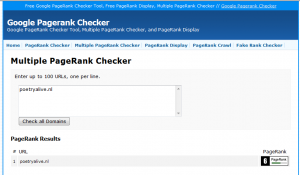 A well known way to check for a fake pagerank was explained earlier in this blog: Fake pagerank check. By typing in Google info:URL you could see if the domain had a redirect to another website and would therefore profit from the high pagerank of the other website. Now there is a new phenomena in play, Google rarely updates the pageranks. The idea behind this is most likely the fact that websites that only exist for a short time are getting a pagerank too quick. But Google wants to value a new website less than a website which for example is older than one year. By updating the pagerank only once per year, the websites who are aged less than 1 year do not profit from this PR update anymore. Anyway, back to the fake pagerank check. The other consequence of fewer updates is the fact that once a domain achieves its pagerank, fake or not, the pagerank will stick around for quite a while. Therefore after a period of time, a domain with a fake pagerank could successfully pass such a fake pagerank check, because the redirect has been removed a long time ago, yet the pagerank has been kept throughout all this time. A clear example of such a situation is shown below. Yet if you look at the link profile, it is highly unlikely that this domain has a pagerank of 6, making it more likely that that pagerank comes from a different domain using a redirect. That raises the question: if this method of a fake pagerank check does not work anymore, are there possibly other ways to check if the pagerank of a domain is genuine or fake because the domain had been redirected to antother domain? Yes indeed, I believe there are. There are two other ways, which I will explain below. Checking for a fake pagerank can also be done using these methods. A previous redirect to another domain can be discovered by the website Archive.org. Archive is the archive on the internet which saves your website frequently. On Archive.org you can see, when you for example go the the latest saved version of the homepage of your website, that the Archive does not show that homepage but that it ends on a different website, a different URL. That means that that domain had been redirected to antother domain. 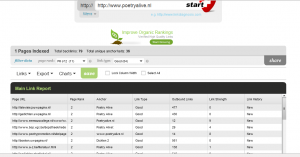 This is also the case in our example, for Poetryalive.nl, the latest saved page is a redirect to another homepage namely NCRV.nl. 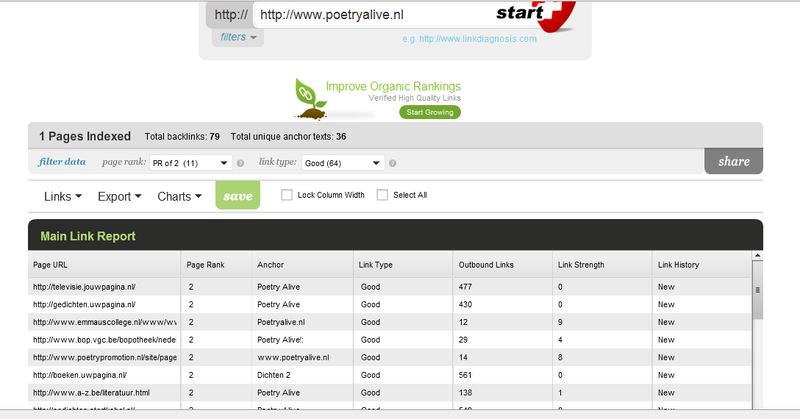 And NCRV.nl has indeed the higher pagerank of 6 which is displayed on the domain Poetryalive.nl. Using all these checks, the well known pagerank check using Google, by looking at the link profile ánd by using these two new ways I just explained, you can conclude rather well whether the pagerank of a domain is genuine or not.